The key upgrade with the Mi Mix 2S is the camera, with the phone now featuring a dual camera setup at the back which sees two 12MP sensors positioned vertically. The zoom double image is further upgraded, and 1.4 mu m super pixels, which are due to the Dual core of Dual PD Dual core, which can be used to improve the noise reduction ability. All the details of the night can be captured brightly and clearly. 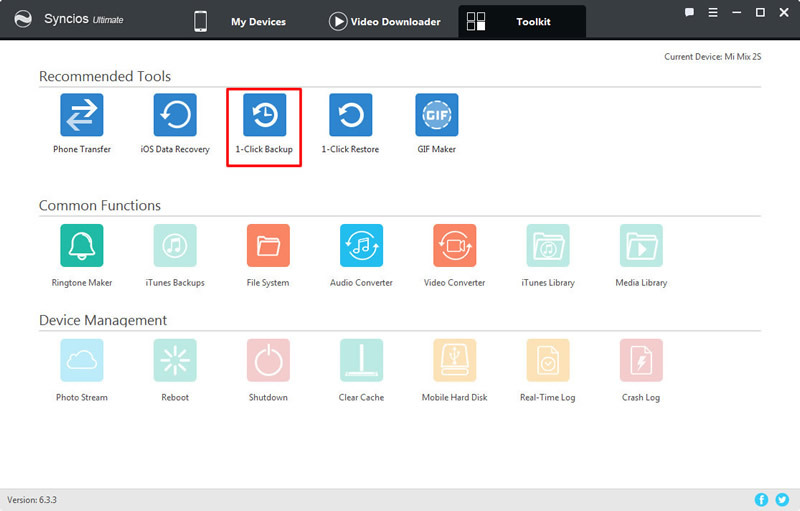 Here are some methods for you to backup your Mi Mix 2S photos to computer. 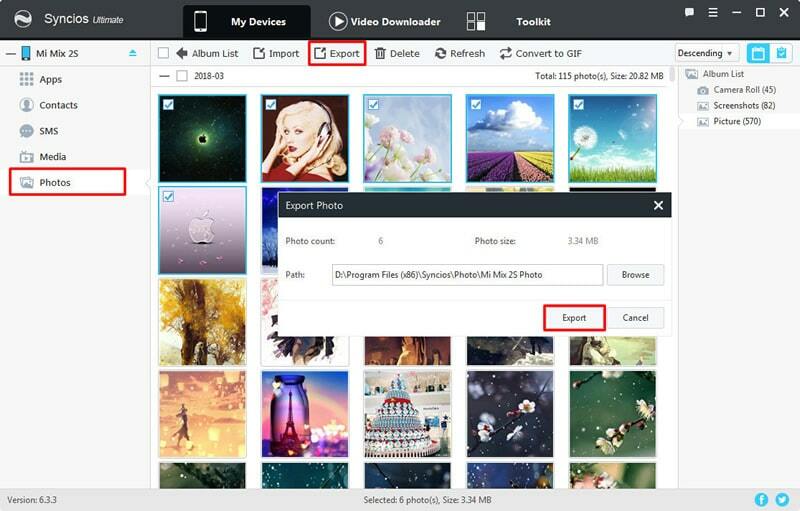 Syncios Manager can let your backup the certain photo file or whole photo album. 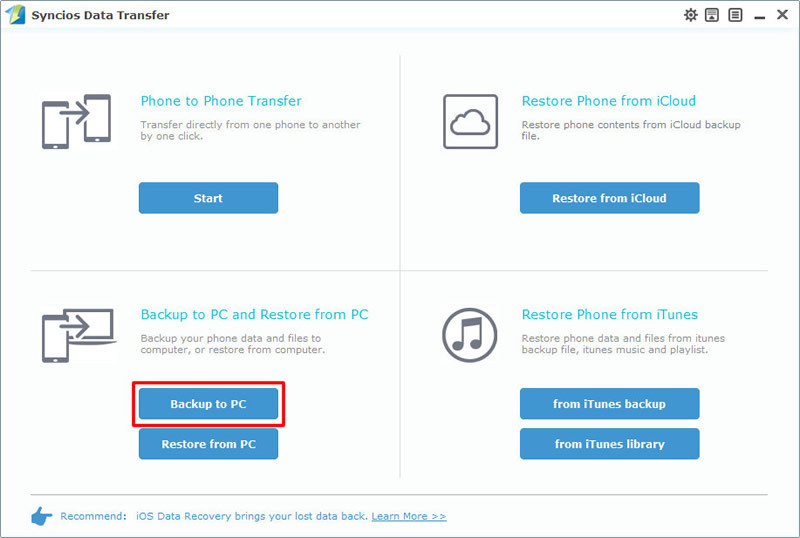 You can also restore them back to your phone once you need to. Please install and launch Syncios Manager on your computer. Then connect your Mi Mix 2S to computer via USB cable. Choose 'Photos' option once Syncios finished to sync your phone. Encounter detection problem please click here to fix. Select the certain photo album you want and click 'Export' button which locates on the menu bar. Then choose your saving route and click 'Export' to start. If you want to select the certain photos, you should Double click the photo album then choose the certain photo you want. Do the same operations for the next step. Still use Syncios Manager for help. Launch Syncios Manager and go to 'Toolkit' module. Then choose '1-Click Backup' function. Encounter detection problem please click here to fix. You will see four main categories which are 'Media', 'Photos', 'Apps' and 'Information'. Select 'Photos' option and click 'Start Backup' to launch. 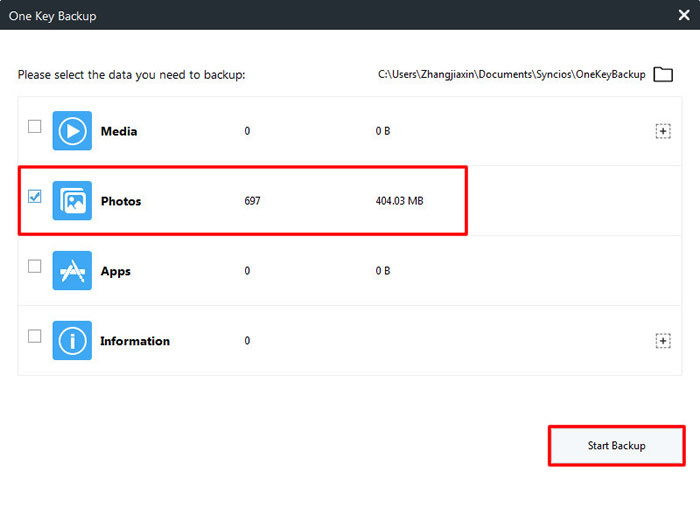 Syncios Manager will automatically backup all your photos of your Mi Mix 2S to computer. With the help of Syncios Data Transfer, you can transfer all your photos in one click. Syncios Data Transfer also support to backup and restore different types of data. 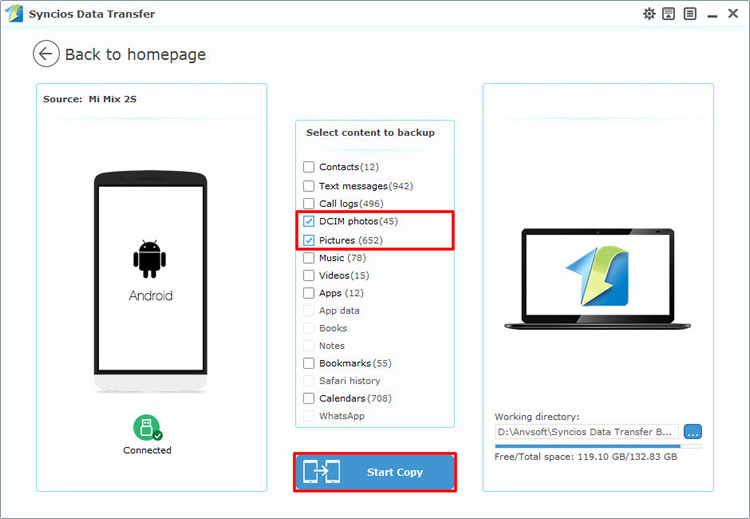 Install and launch Syncios Data Transfer on your computer in advance. Then choose 'Backup to PC' at the first interface and connect your Mi Mix 2S to computer via USB cable or using Wi-Fi connection. Encounter detection problem please click here to fix. 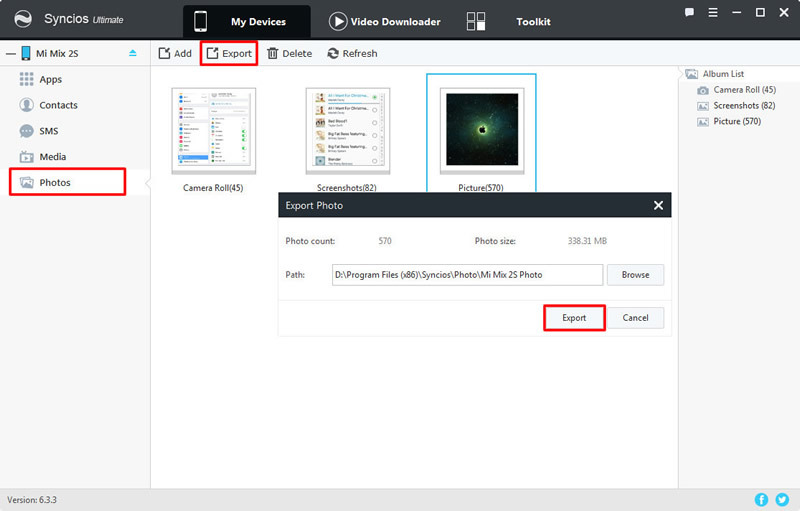 Once Syncios finished to synchronize your phone, choose 'DCIM photos' and 'pictures' in the middle interface. Then click 'Start Copy' and wait till complete.